Leading Manufacturer of positive feeder belts and punched flat belt & slated flat belt from Coimbatore. Owing of our extremely talented team of professionals, we are engaged in offering a wide range of Positive Feeder Belts. 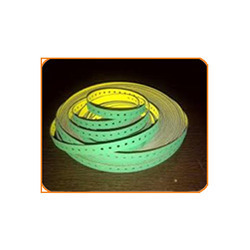 These belts have an exceptional strength, high load bearing capacity and durable finishing; these feeder belts are manufactured using high grade material and advance machines at our end. We are offering these feeder belts on different specifications to choose from. 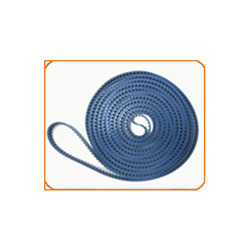 With a firm commitment to quality, we are engaged in offering an excellent quality Punched Flat Belt & Slated Flat Belt. We check our flat belts on various quality parameters to deliver a flawless range at our end. We manufactured these flat belts from high grade material in our high-tech manufacturing unit in accordance with quality standards. These flat belts are can be availed from us at rock bottom price.